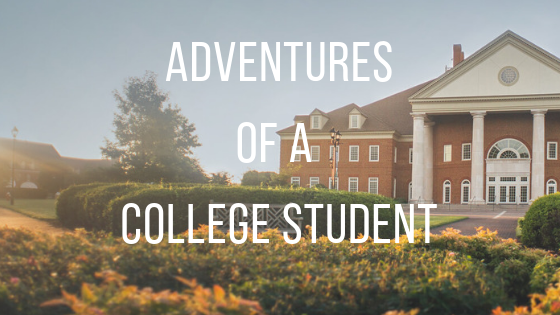 This is a column for stories about the hidden side of the college experience. It’s a column for those embarrassing mistakes that eventually turn into funny memories, a place to share your experience so that others know they are not alone in their mistakes. Have a story to tell? Submit it to the Daily Runner at thedailyrunnereditors@gmail.com. College can be a confusing time for many reasons. You find yourself suddenly living in a new place with new people. Maybe you know some of the, but maybe you don’t know anyone. Most of all, you have to figure out how to live on your own, to fend for yourself. This means learning to cook, do laundry, and, of course, clean up after yourself – which leads me to our next story. Perhaps the most dreaded chore is doing the dishes, especially when they are not just yours but your roommates’ dishes as well. Most rooms settle into an agreement of some sort, whether they each do their own dishes or take shifts each day. But what happens when you mix a confused college student and a dishwasher? Mistakes. Mistakes happen. Having done the dishes as a chore growing up, the first time I heard about this happening I couldn’t believe it. Yet, sure enough, it happens at least once a semester, probably more often. I was walking down the hallway and I heard a surprised shriek from an open doorway. When I went to investigate, I was shocked at what I found. The kitchen was full of bubbles, and not the floaty kind. No, these bubbles streamed from the bottom of the dishwasher along with water, an unstoppable mass threatening to take over the entire room. The only way to combat the force was with a heap of towels and a quick dash to turn off the dishwasher. Even then, more bubbles spilled from inside the beast. When we had the situation under control, I asked what happened. The owner of the dishwasher had no idea. I asked to see the soap they had used. The bottle read “dishwashing liquid” but the soap was thin and watery. It was dish soap, not dishwasher detergent. This is a lesson that many college students learn every year. Yes, there is a difference between dish soap and the detergent that goes in the dishwasher. Don’t let the name fool you. Dishwasher detergent is much thicker than dish soap and often comes in a bigger bottle. In fact, it comes in a pod form as well, which is perhaps the safest way to go. Just don’t get a dish detergent pod confused with a laundry detergent pod. That’s a whole other can of worms. Kylie Kisamore is a contributor to the Daily Runner.